Friday night saw a big crowd turn up to 'get involved' with the Berghaus competition wall with Round 1 of the Winter Bouldering League drawing over 80 competitors. The Mens cash problem drew attention straight away with a lot of the wads getting straight on with the aim of working out the beta for a quick send. That send didn't come easily or quickly though. In the end a few got close but only Nedwin van der Freewilly and visiting French wad Siebe Vanhee managed to tick this brute of a problem. On the Women's problem it took a while for the game to start but the lure of a cash prize started to draw in the top ladies and the fun began. 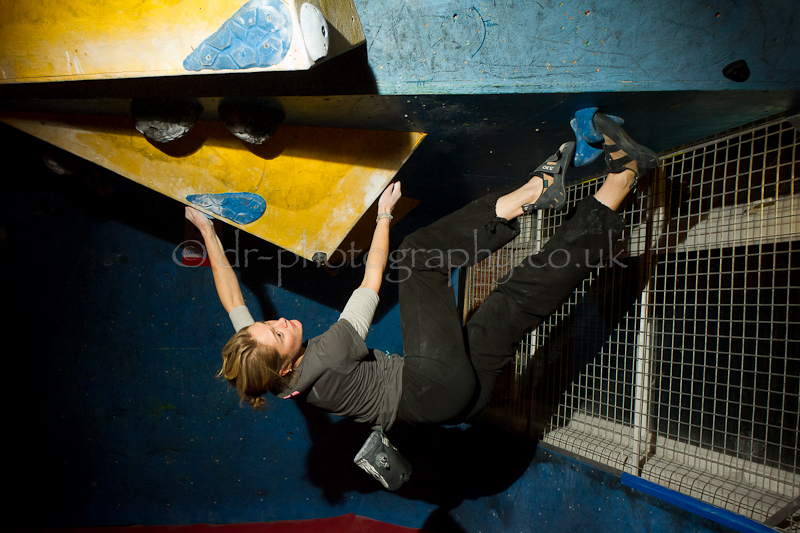 Just like on the Men's, a few got close but only Shauna Coxsey and Katy Whittaker topped out the problem. At the end of the comp, 2 Men & 2 Women walked away £62.50 richer. 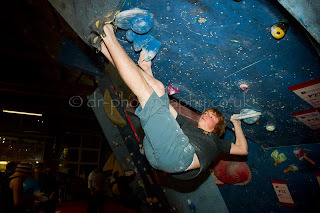 This year FiveTen are supporting the Winter Bouldering league by offering everyone who returns their scorecard the chance to win a pair of 5.10 climbing shoes. We will make the draw on the Monday morning after the competition. 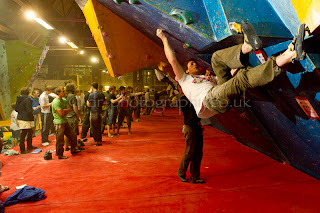 Both Luke and Johnny win a pair of FiveTen shoes of their choice from The Climbing Works shop. 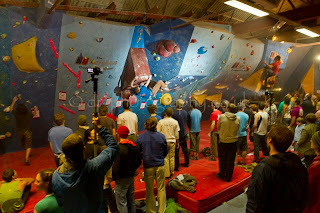 Just get in touch with brian at info@climbingworks.com to claim your prizes. You can view photos from round 1 on The Climbing Works facebook page. All photos courtesy of Dom Worrall - www.dr-photography.co.uk. Cheers Dom! 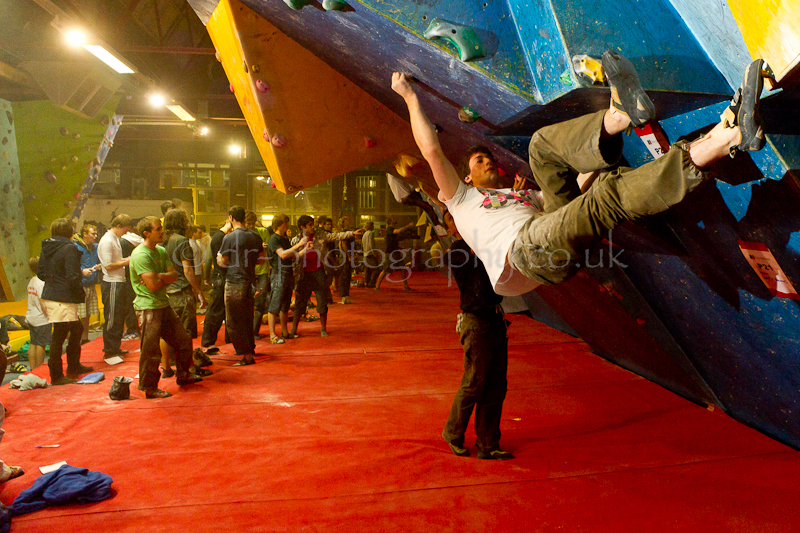 In other Climbing Works news, the green spotty circuit has now come down to be replaced with a new one this Thursday by UF and the Enigma.